PORT ORCHARD – With more snow predicted, Kitsap County Elections will move its North Kitsap vote center to the Poulsbo Fire Station at 911 NE Liberty Road in Poulsbo for the Special Election on Tuesday, February 12. The county will have two vote centers, the one in North Kitsap and the other in the County Administration Building at 619 Division Street in Port Orchard. Both centers will be open 7 a.m. to 8 p.m. 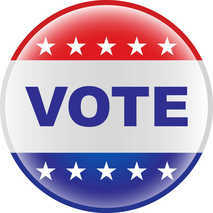 Even if the County delays opening or cancels normal operations at the Administration Building, eligible voters are able to cast their vote at either location. Tuesday is Election Day for 88,000 voters in Kitsap County. Voters residing within the Bremerton, Central Kitsap and Bainbridge Island School Districts as well as the Bainbridge Island Fire District had ballots mailed to them in January. Ballots are due by 8 p.m. in the 12 open ballot drop boxes. Voters relying on mail service must make sure the ballot is postmarked by Feb.12. Ballots submitted with a later postmark will not be counted.